Yes! We design our own pieces! It's one of our favorite pasttimes;identifying new trends, perusing our gemstone & diamond collection, and creating a beautiful necklace - pendant - ring - or earrings. Texans are known world wide for their Texas pride. Well Legend Jewelers is owned by a 5th Generation Texan and an early part of the store's heritage is our Legendary Horn Toad jewelry. Are you from San Angelo? Celebrating a relationship that began here? Or do you need something to commemorate your visit to the area? 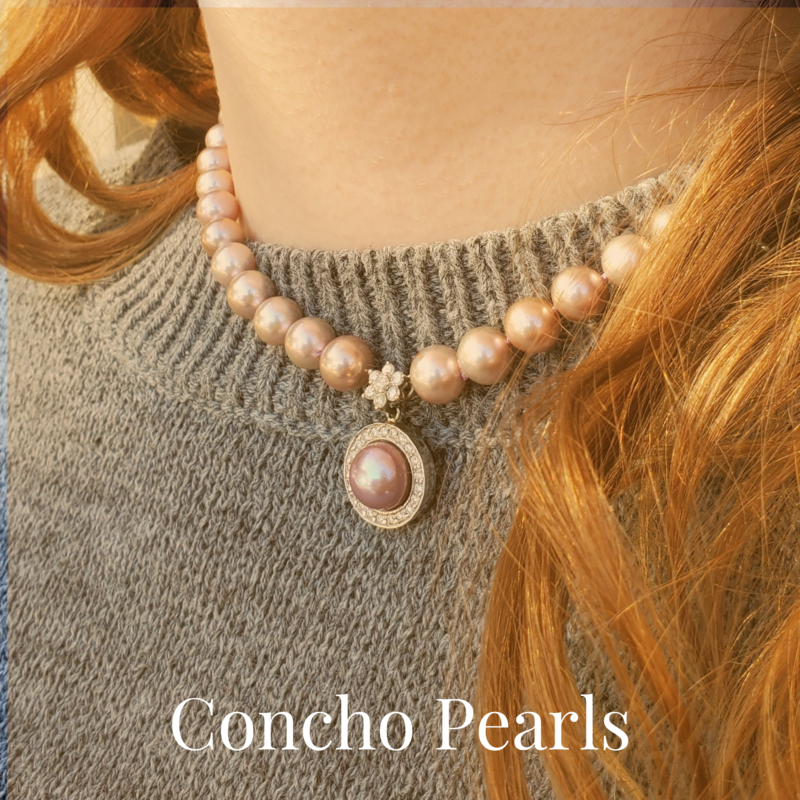 Take a peek at our Concho Pearls - for something unexpectedly beautiful and unique to the Concho Valley. Their story begins with two dynamic and talented brothers, Jack and Dominick, who saw an unfeeling jewelry industry that needed new vision. They understood why unique, quality jewelry is important to people in the first place: to celebrate the special occasions, to commemorate the momentous accomplishments, to honor the deepest relationships, and to capture the unspeakable beauty of life and those who matter most. You are driven by a thirst for life's finest things, experiencing each day in a series of beautiful moments. You know how to live well and to treat yourself the way you deserve. LŪVENTE has been designed for you. Seize the day and commemorate your finest moments. Your life's moments are yours; Capture them forever with LŪVENTE. Designed to reflect the latest European fashion trends, our dazzling selection of exquisite jewelry enhances the lifestyle of the modern woman. Officially licensed by Disney, Enchanted Disney Fine Jewelry brings the magic to life! Discover the magic behind this iconic collection with beautiful jewelry that is "Classic & Timeless" like Cinderella, "Regal & Brilliant" like Elsa, or "Sophisticated & Bright" like Belle. Over 40 years ago, Mike Fisher crafted his first Secret Box for his girlfriend. Since then, his passion for woodworking has grown into both a career and a world-renowned business, Heartwood Creations. Heartwood has been expanding and improving their product line and woodworking techniques ever since its establishment in 1978 in Rockford, Illinois. From their 184 year history to their global brand recognition, WOLF has never waivered from its undying pursuit for perfection, luxury and elegance.